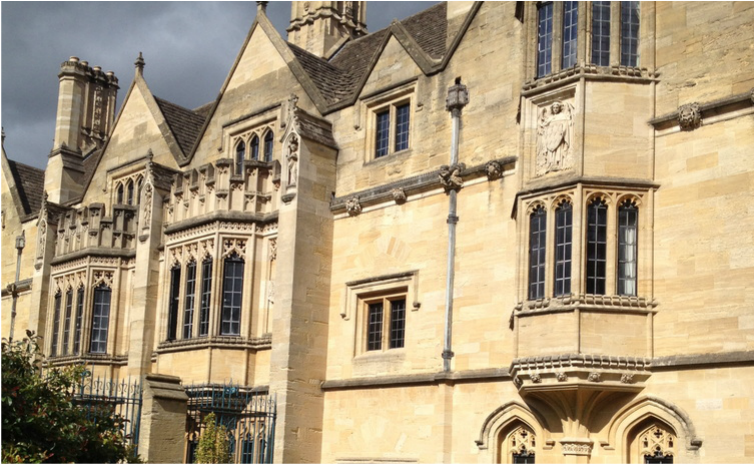 I thought that the University of Oxford was like a typical U.S. university, just way cooler because the buildings are so flipping old. But it isn't like an American university. 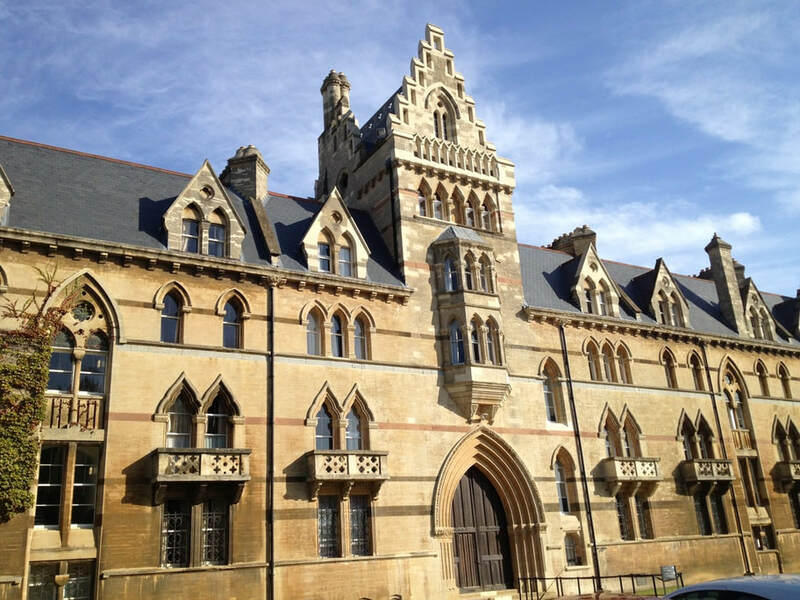 Oxford is actually made up of 38 independent colleges. Students choose a college, all of which have dorm rooms, dining halls, libraries, fitness centers etc. The students attend classes with students from all the other colleges. 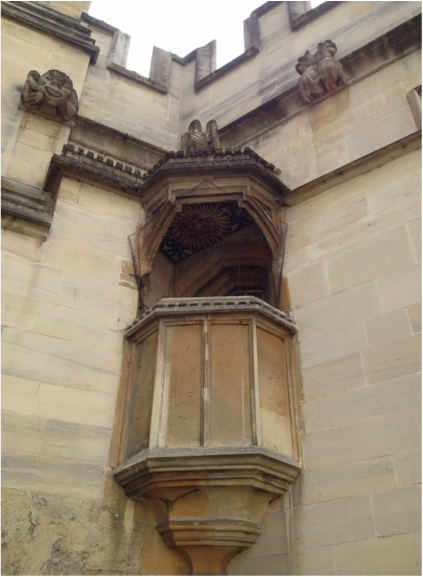 We toured three colleges while in Oxford: Christ Church, Magdalen, and University. 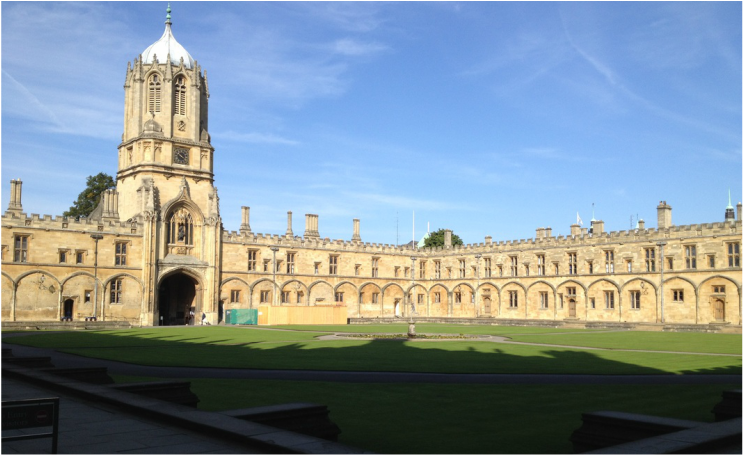 Christ Church is where parts of Harry Potter were filmed. I know for a fact that the college has other things of which to be proud, like prime ministers and other famous people who went there, but right now all I can remember is the Harry Potter stuff. And I wasn't even one of those Potter nuts who stayed up until midnight to get the next book, then raced home to scarf it down. 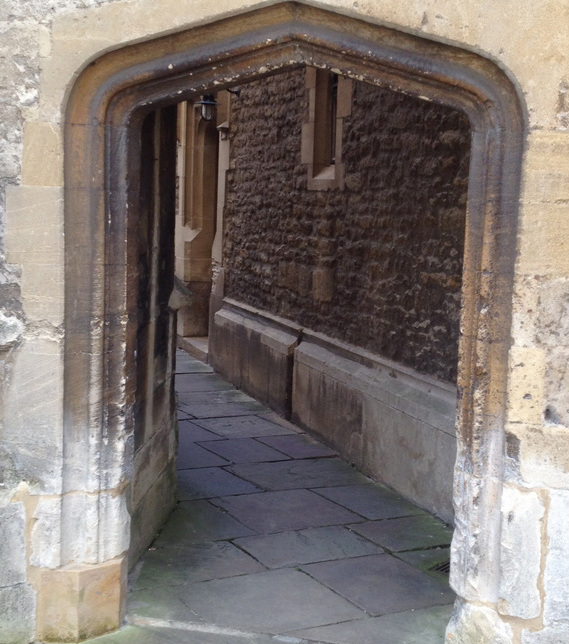 The college's massive 16th century staircase, which leads up to the Great Hall, was used to film the scene where Harry and the other new first-years enter Hogwarts and are greeted by Professor McGonagall. I copied this information from someplace else. I didn't really remember it from the movie. It is a neat staircase, though. The college's Great Hall (dining room) was replicated in the film studio to create Hogwart's Hall. 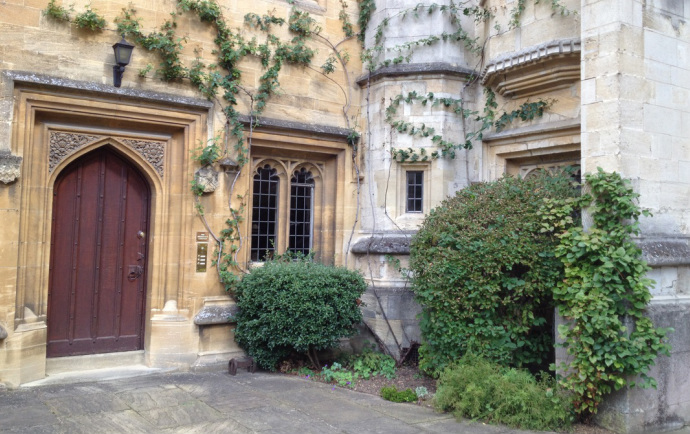 When we enter the first courtyard within Magdalen College, we don't know where to look first.